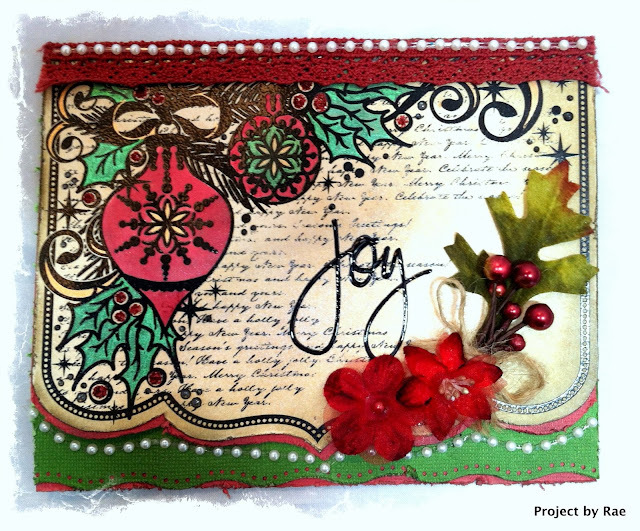 Scrapping Fancy: Welcome to Swirlydoos' November Kit Reveal Blog Hop Block Party!! If you came here from Amy's blog, then you are on the right track. If not, go back to Swirlydoos' blog and start from there. We have some amazing projects for you to see today!! Make sure to leave a comment on all of the blogs for a chance to win!!! Check out Swirlydoos on Facebook and Like Us!!! When I saw this paper, I fell in LOVE with it. It's so perfect for sophisticated, feminine projects. I immediately knew I would scrap the pics from a photo shoot some of the Swirly Girls did at Swirly Camp this past summer. So far, I have two done, but plan to do more! So, this is a pic of me and fellow Swirly Girl, Kim. It looks like we are up to no good, huh? 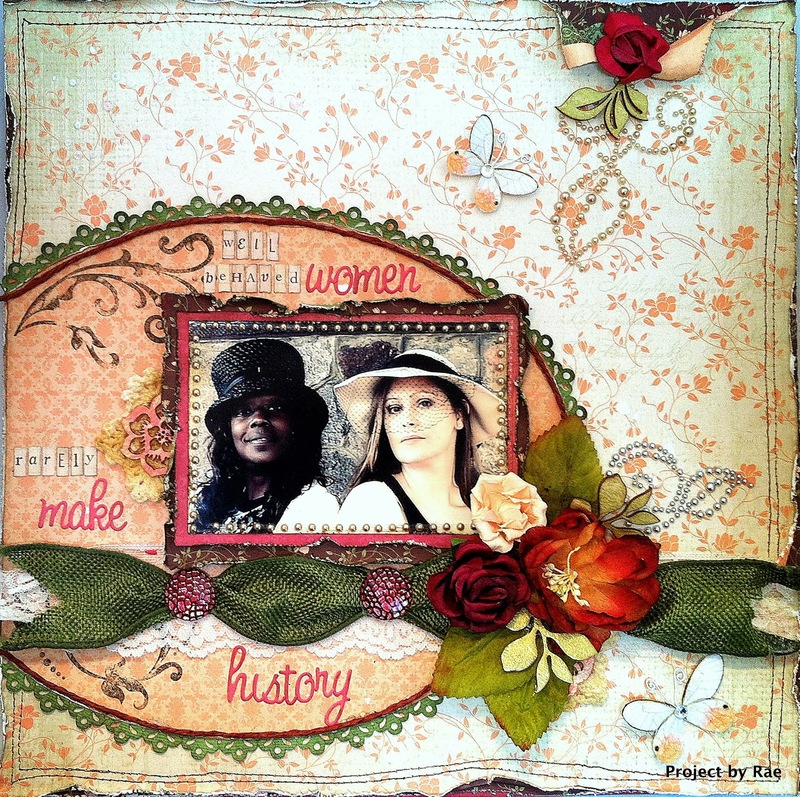 Well, there was a little plaque that had the saying, "Well behaved women rarely make history" at the retreat, and I knew that just had to be the title of this layout! I used a faux stitching technique for the border. The butterflies are from Angelica's Etsy shop. The lovely lady in this pic is fellow Swirly Girl, Sherri. Sherri is a wonderful person inside and out. I treasure the time I get to spend with her at Swirly Camp! We had such a great time with our photo shoot, and this is one of my favorite pics taken that day! I went flower crazy on this layout- I love the look of the flowers on the paper peeking out underneath the actual flower son the page because it creates such fantastic dimension. The vine, butterflies and pins are Angelica's Etsy shop. Getting your Christmas cards made early is wonderful, and this year, we decided it would nice to help you get a jump on them by offering a card add on in November. The card toppers from Hot off the Press are perfect for creating beautiful cards in a snap! And, just to show you how simple they are to make in minutes, here's a video that I made on how to make the cards above. The party continues over at Heidi's blog. Have fun! I love your pages so much and your cards are OMG Gorgeous!!!!!! I'm going to watch the vid in a moment. I always love to watch your video's. Beautiful pages, Rae! And I love what you created with the tech add-on!! Beautiful pages! Thank you for the inspiration! Everything is just gorgeous! 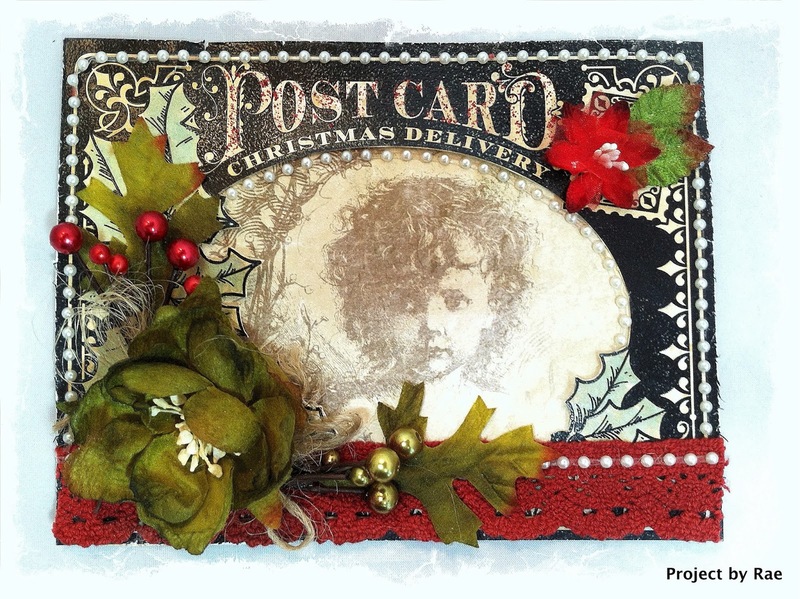 The kit is perfect for those photos and the Christmas card are stunning! great cards and fun layout. Lots of lovely eye candy on these beautiful layouts! cute cards and beautiful layouts! Amazing work this month. You truly did wonders with the kits. I am getting the Christmas card kit, so I can't wait to watch your video and start making my cards. YAY!!! Love the layouts. That pic of Sherri is one of my favorites too. Your cards came out so pretty. amazing layouts Rae! and those cards are gorgeous! Gorgeous!!!! 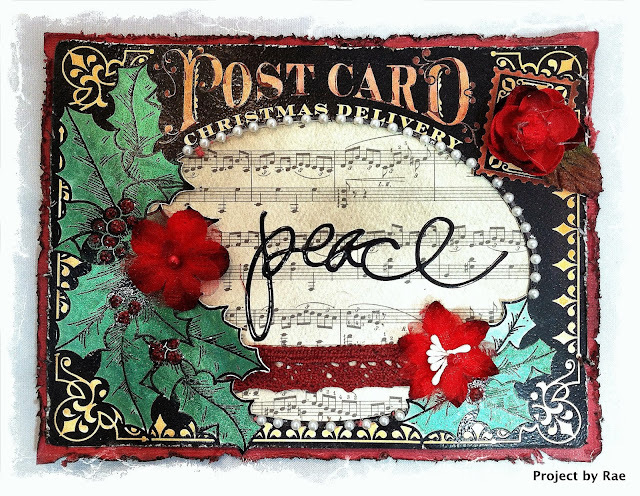 Those Christmas cards - so beautiful and i just LOVE your layout based on the sketch! Great work! Love your layouts and cards. Will be back to take a look at your video. 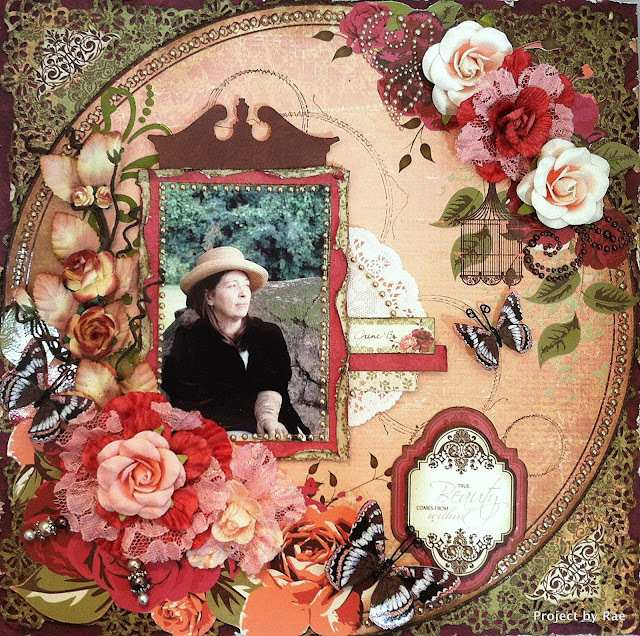 Wonderful job with the kit, Rae! Wow - your cards are stuning - and that layout with Kim is bold and gutsy and powerful. Love it!! This kit is truly a fav of mine. Thanks also for the sweet comments, I love my yearly face to face with all the wonderful swirly girls. Very, very pretty! The details are wonderful!! Girl! Your first LO is super sassy! Gorgeous work as always Rae! Gorgeous pages and lovely cards. Your layouts and your cards are so beautiful and inspiring! I have to say that you are incredibly talented. Each project was stunning. Thank you for giving us all so many fabulous ideas for this months kit. Love love the post cards! Gorgeous work, Rae. I love what you did with the cards. Wow, as always your creations are awesome! Beautifully made! OMG, I LOVE THE POST CARD, THERE ARE AMAZING!!!! Love the pages and that quote is one of my all time favorites and it's SO SO true! Love the pics of your DT peeps too! Thanks so much for the cards too and your video! oh wow I love them all. especially the vintage post cards. how cool to have your fellow DT's in the beautiful work.The product is just gorgeous as is the art.